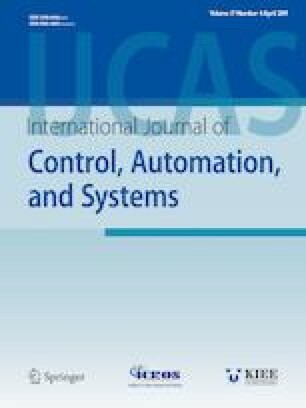 This paper proposes a tracking error constrained dynamic surface control (DSC) method combined with a super-twisting control (STC) and a super-twisting nonlinear disturbance observer for a nonlinear strict-feedback system, where the system functions are partially known. In the recursive dynamic surface control procedures, the stabilizing controls of the DSC were designed by combining the STC with the virtual tracking errors defined from the DSC design concept and estimate for uncertainty. A super-twisting nonlinear disturbance observer was designed to estimate the unknown nonlinear function and external disturbance instead of using parameterization of the nonlinear function or adaptive law in the conventional STC and DSC schemes. A simpler DSC design procedure by eliminating necessity of differentiation of the filtered output error in the conventional DSC scheme and a tracking error constraining control scheme are also proposed. The proposed STC-DSC scheme combined with a super-twisting nonlinear disturbance observer has better tracking error performance and robustness to uncertainty than control systems with a conventional nonlinear disturbance observer. The control scheme was evaluated through simulations with two nonlinear systems. Recommended by Associate Editor Shihua Li under the direction of Editor Myo Taeg Lim. This work was supported by the Dongguk University Research Fund of 2018. Seong-Ik Han received the B.S. and M.S. degrees in mechanical engineering from Pusan National University, Busan, Korea, in 1987 and 1989, respectively, and the Ph. D. in mechanical design engineering from Pusan National University, Busan, in 1995. From 1995 to 2009, he was with Electrical Automation of Suncheon First College, Korea. From 2010 to 2017, he was with Department of Electronic Engineering, Pusan National University, Korea. Now, he is with the Department of Mechanical System Engineering, Dongguk University Gyeongju Campus, Korea. His research interests include intelligent control, nonlinear control, robotic control, vehicle system control, and steel process control. He is the member of IEEE.